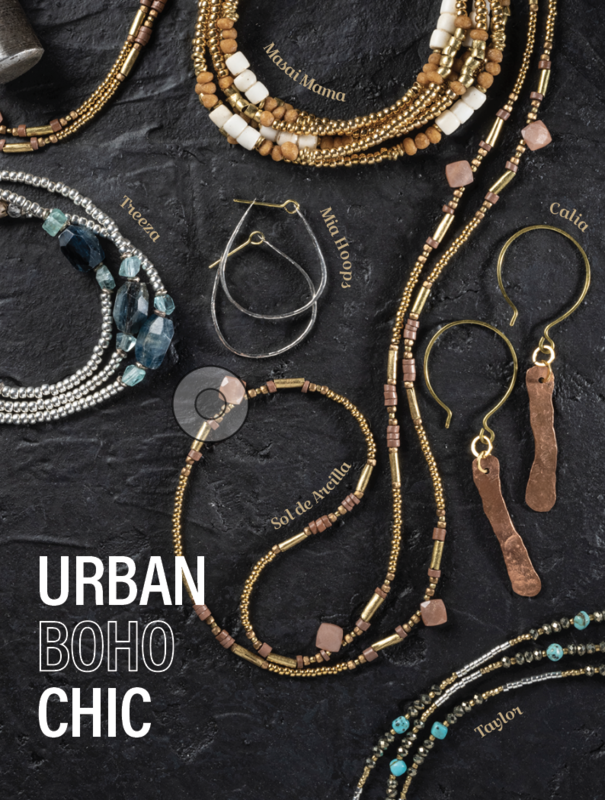 Handmade in Allentown, UrbanBohoChic is designed for the Elegant Bohemian. Each handcrafted wrap is a commingling of well-traveled stones, handmade beads, and vintage materials. 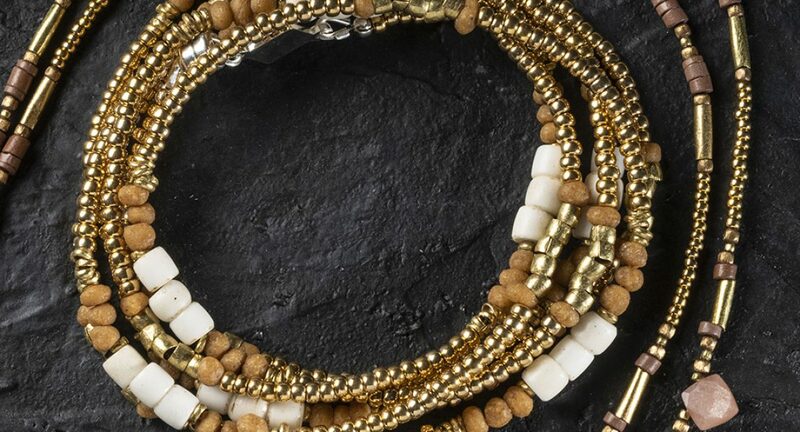 Designed to be worn as a necklace, bracelet, or anklet—layered and styled according to your inner fashion guru. Show your spirited, independent fierceness. Learn more and join The Tribe @ urbanbohochicjewelry.com. Read Treeza’s moving story on the UrbanBohoChic Blog. Blue Kyanite, Brazilian, Blue Apatite, Mexico, Faceted Quartz, Handmade Ethiopian white metal beads, sterling silver-plated glass, Japan.